Our official grand entrance into the world came in the form of a @PolicyLabUK tweet late on the evening of April 1. Since then we have been busy delivering our first project, working with the Home Office and Sussex and Surrey police on improving the victim’s experience of reporting crime. The Policy Lab is practical. We aren’t a strategy unit, but rather an experimental space, trying out new techniques and seeing what works. To borrow from GDS, our strategy is delivery. In fact we have a lot in common with GDS, sharing a relentless focus on the end-user or customer experience and expertise in service design and prototyping to test ideas. So we are experimental. Through the projects we take on this year, we hope to try out a range of new approaches and tools. 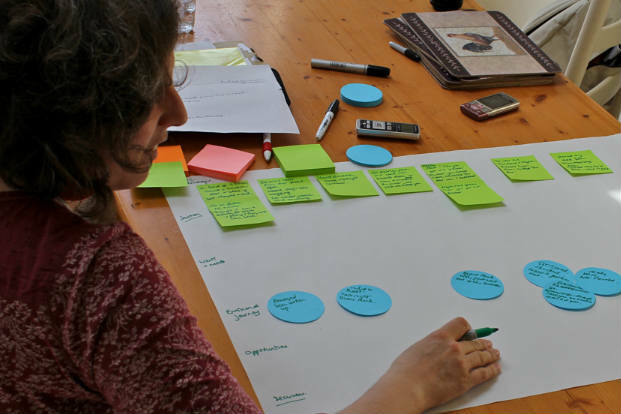 These will include user-centred design, but also look at bringing together a far wider range of expertise and experience to the policy process, making the most of new digital tools such as the advanced analytics of large unstructured data, and adopting rapid prototyping and iterative development in policy. It will establish which approaches are the most useful and effective in improving the pace and quality of policy development. And I’m particularly interested in how we combine them. 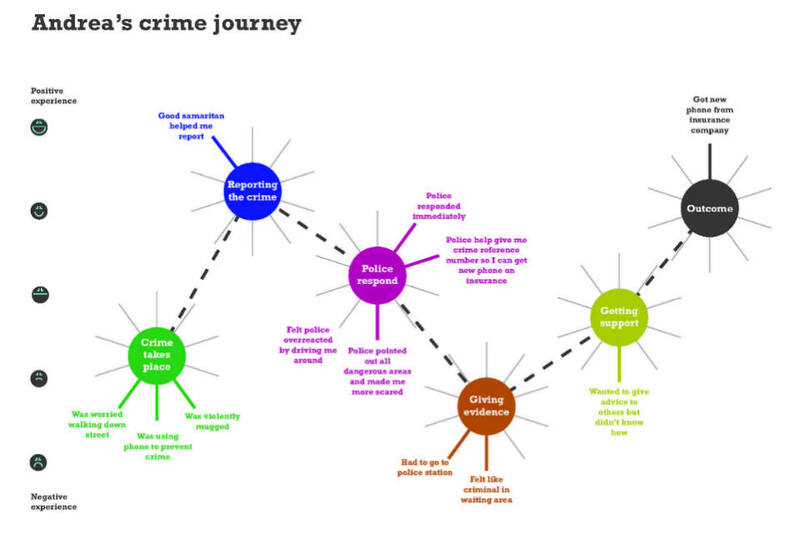 For example, as part of the policing project we’re hoping to combine ‘small data’ from ethnographic research (which gives us both the victim’s and the police officer’s view of reporting a crime) with ‘big data’ that the police can access. We are also collaborative. So many of the problems faced by government, both short and long term, require joined-up thinking. We know that most challenges don’t sit neatly within departmental boundaries, so the Lab provides a great way of doing things across government and outside. We’re on the lookout now for both larger and smaller Lab projects and will be continuing to tour departments and speak to people outside. We believe that better policy making comes from bringing together new perspectives, both within and outside Whitehall. We sit both literally and metaphorically in the same space as Open Policy Making, harnessing the best ideas available to policy makers – wherever they come from. Finally we are open-minded. We know that we don’t have all the answers and that the process of innovation and creativity is one of discovery. Policy Lab is a space to think differently, to come up with new ideas and try them out, fail and try again (fail better... try again!). In that spirit we’ll be trying some smaller ‘Lab Light’ sessions too. That could be running a co-design workshop, or commissioning some ethnographic research. The aim is to test different techniques and get as many people as we can involved in the Lab and enthusiastic about doing things differently. But we also want to be ahead of the game in identifying the newest ideas, the best techniques, and the most interesting people we should be working with. We want to hear from you about the things you’ve seen that you think we should try. Comment below or tweet us @PolicyLabUK. If you would like to know more come and see us at our gathering of Lab friends on 16 July. Register here for a place. I like your approach here, particularly looking at the value of small and qualitative data that is often overlooked. However, i would say that if you wanted to make real progress on improving systems and people's experience of them, in today's multi-partner age, the issue of Data Protection as a block to improving process really has to be tackled. I am definitely not an advocate of data being stripped from people without their permission but if data has already been gathered and could help another organisation to deliver a better experience for that person e.g. not having to repeat everything to a second agency when you are already in a distressed state, then it has to be right. 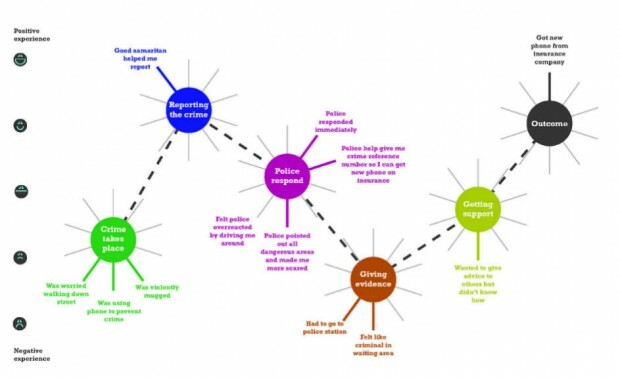 I am currently working with a Neighbourhood Team (GP & health services) pilot and these professionals have already identified poor processes and lack of data sharing as two of the biggest barriers to improved services and reduced costs. Now if you could find a way through that then you really will be making progress and I will cheer you all the way. I find your interest in ethnography fascinating - in two capacities, actually. First, I'm currently part of a project that aims to put educational researchers to work on addressing the challenges of global change and exacerbating social inequalities that diminish the lives of many children and young people - (see BERA Respecting Children and Young People http://berarespectingchildren.wordpress.com/about-2/). Not all of the research informing this project is ethnographic or qualitative, but a lot is. And second, a strand in my own work is concerned with exploring the significance of qualitative research for policy. My main argument is that ethnography and other forms of qualitative research can be powerful forms of evidence when they utilise robust methodologies and are combined with strong theorisation. Would like to know more about the work you are doing. It's great to hear more about the Policy Lab (having missed the session at Civil Service Live). Here at the Centre of Excellence for Information Sharing, we're working in a similar way, trying to join up policy issues across departments and places. We're a hybrid organisation - funded by central government, hosted by local government, staffed by secondees and focused on working directly on the ground. We help the local places we work with to put service users at the heart of redesigned services, by sharing information better both when designing services (using analytics, understanding cohorts and so on) and when delivering them (tailoring support to meet individual needs, joining up services around the user). And we're also trying to work in a new way - our role is to help local areas to share information better, but also to develop the capacity for better information sharing to happen without us, and to share the experiences of the places we work with. It'd be great to see how we might be able to learn from what we're both doing - and hopefully Fiona White (in the comments above) will be reassured that we are trying to resolve those data sharing barriers!